Friendship Day Deal: Avail a FLAT 10% OFF on Form 2290! www.TaxExcise.com / www.Tax2290.com – Products of ThinkTrade Inc., and the FIRST EVER IRS Authorized E-File Service Provider for E-filing Heavy Vehicle Use Tax Form 2290, wishes every Trucking Soul around the Nation a very Happy Friendship Day. This entry was posted in 10% Discount, 2290 for 2018, file form 2290, Form 2290, Form 2290 Discount, Friendship day, HVUT For 2018 - 2019, Schedule-1 Copy, Tax Form 2290, Tax Year 2018 - 2019 and tagged 10% OFF, 2290 e-file, 2290 online, 2290 tax filing, 2290 truck tax, efile 2290, Federal Heavy Vehicle Use Tax, Form 2290, Form 2290 E-file, form 2290 electronic filing, form 2290 online, FRIENDSHIP, Heavy highway Vehicle use tax, Heavy Vehicle Use Tax, Highway Vehicle Use Tax, how to file irs form 2290?, IRS Form 2290, IRS form 2290 e file, IRS Tax Form 2290, tax 2290 electronic filing, Truck Tax Form 2290, what is form 2290 on August 3, 2018 by Tax Expert. 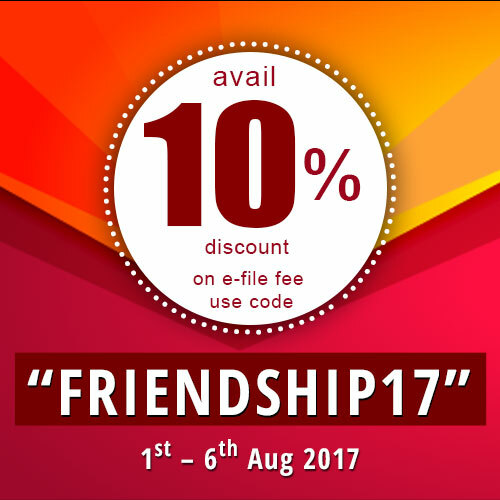 FLAT 10% OFF on E-filing HVUT Form 2290 this FRIENDSHIP Week! This entry was posted in 10% Discount, 2290 for 2018, E-file 2290 Tax, file form 2290, Form 2290, Form 2290 Discount, Friendship day, HVUT For 2018 - 2019, Schedule-1 Copy, Tax 2290, Tax Form 2290, Tax Year 2018 - 2019, Truck Tax Form 2290 and tagged 10% OFF, 2290 e-file, 2290 online, 2290 tax filing, 2290 truck tax, efile 2290, Federal Heavy Vehicle Use Tax, Form 2290, Form 2290 E-file, form 2290 electronic filing, form 2290 online, FRIENDSHIP, Heavy highway Vehicle use tax, Heavy Vehicle Use Tax, Highway Vehicle Use Tax, how to file irs form 2290?, IRS Form 2290, IRS form 2290 e file, IRS Tax Form 2290, tax 2290 electronic filing, Truck Tax Form 2290, what is form 2290 on August 1, 2018 by Tax Expert. Our Tax Experts will be working on weekends to assist you with Form 2290 Efiling! Trucking, the profession speaks about the difficulties owned and faced on the road, behind the wheels and while at Truck stops. What gives you the strength to move ahead each day, make deliveries, and serve the nation? Well, this dedication and motivation keeps you going, and it holds like an inspiration to run show. And not to mention, you are the main reason for our success. Truckers who deal with heavy vehicles come over, file their HVUT taxes online with Tax2290.com during the weekends too, since our customer support team is now available to take calls, email and chat. This entry was posted in 10% Discount, 2017 - 2018 HVUT, 2290 e-file provider, 2290 for 2017 -18, E-file 2290 Tax, Electronic Filings, Federal Excise Tax, file form 2290, Form 2290, Form 2290 Discount, form 2290 online, Friendship day, Heavy Vehicle Use Tax, Schedule-1 Copy, Tax 2290 Discounts, Tax Form 2290, Truck Tax Form 2290 and tagged 2017 tax form 2290 filing, 2290 due date, 2290 e-file, 2290 filing, 2290 online, 2290 online filing, 2290 tax, 2290 tax filing, 2290 Tax Form, 2290 truck tax, Due date for IRS Tax Form 2290, efile 2290, Federal Heavy Vehicle Use Tax, Form 2290, Form 2290 deadline, Form 2290 E-file, form 2290 electronic filing, Form 2290 filing, Form 2290 for tax year 2017, form 2290 heavy highway vehicle use tax return, form 2290 online, Heavy highway Vehicle use tax, Heavy Highway Vehicle Use Tax Return, Heavy Vehicle Use Tax, Heavy Vehicle Use tax form 2290, Highway Vehicle Use Tax, how to file 2290 online?, how to file irs form 2290?, HVUT Form 2290, irs 2290 filing, IRS Form 2290, IRS form 2290 e file, IRS Form 2290 Online Filing, IRS Tax Form 2290, New tax year 2017 HVUT, road tax form 2290, tax 2290 electronic filing, Truck Tax Form 2290, what is form 2290, where to file 2290 tax return? on August 3, 2017 by Tax Expert. Celebrate this FRIENDSHIP Week with a 10% Discount on Form 2290 E-fling! This entry was posted in 10% Discount, 2017 - 2018 HVUT, 2290 for 2017 -18, E-file 2290 Tax, Federal Excise Tax, file form 2290, Form 2290, Form 2290 Discount, form 2290 online, Friendship day, Heavy Vehicle Use Tax, Schedule-1 Copy, Tax 2290 Discounts, Tax Form 2290, Tax2290.com, Truck Tax Form 2290 and tagged 2017 tax form 2290 filing, 2290 due date, 2290 e-file, 2290 filing, 2290 online, 2290 online filing, 2290 tax, 2290 tax filing, 2290 Tax Form, 2290 truck tax, Due date for IRS Tax Form 2290, efile 2290, Federal Heavy Vehicle Use Tax, Form 2290, Form 2290 deadline, Form 2290 E-file, form 2290 electronic filing, Form 2290 filing, Form 2290 for tax year 2017, form 2290 heavy highway vehicle use tax return, form 2290 online, Heavy highway Vehicle use tax, Heavy Highway Vehicle Use Tax Return, Heavy Vehicle Use Tax, Heavy Vehicle Use tax form 2290, Highway Vehicle Use Tax, how to file 2290 online?, how to file irs form 2290?, HVUT Form 2290, irs 2290 filing, IRS Form 2290, IRS form 2290 e file, IRS Form 2290 Online Filing, IRS Tax Form 2290, New tax year 2017 HVUT, road tax form 2290, tax 2290 electronic filing, Truck Tax Form 2290, what is form 2290, where to file 2290 tax return? on August 1, 2017 by Tax Expert.